Physiology is one of the most important subjects for USMLE Step 1. Without physiology, you wouldn’t understand pathology as much. So before you do pathology make sure you have a solid physiology background. Many of you asked me how many physiology questions are in the exam? This is a very tough question because everyone’s exam is random. But physiology will definitely be on the exam. From my personal experience, I can guarantee you that each block will have at least 10 to 15 physiology questions. That’s a big chunk! Now, don’t be scared of physiology. It is mostly conceptual, which makes it easy and fun to study. And board loves conceptual questions because they can twist them around. So you need have a solid physiology background. Here is my recommendation. If you are in medical school taking physiology class I would recommend you to watch Dr. Najeeb’s physiology videos. They are amazing. But they take for ever and he is very slow! 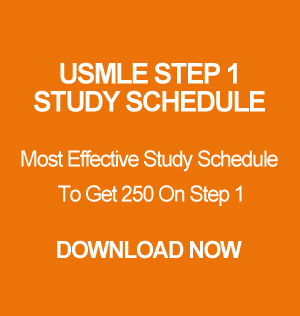 If you are out of medical school and planning to take the exam within 3 to 5 months. I wouldn’t recommend watching him. Now, if you feel like your physiology is weak and you only have few months to study I would recommend the following. 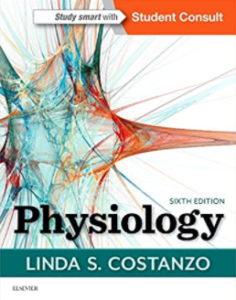 First of all, grab a copy of Costanzo’s Physiology 6th Edition & BRS Physiology. Next, you want to read the entire Costanzo’s physiology cover to cover. Don’t spend too much time on it. Just get an overall idea and read it like a newspaper. Next, start reading BRS physiology and spend some time on it and try to understand the concepts and graphs. 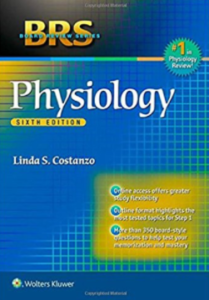 Once you are done with both Costanzo’s Physiology 6th Edition & BRS Physiology your physiology should be very strong! If you still feel like you don’t understand something you can watch Kaplan’s physiology videos of that section. I wouldn’t recommend you to spend too much time on Kaplan’s physiology videos as they wouldn’t help you through questions. Now, if you followed everything I said above and also already studied other sections like anatomy, biochemistry, and immunology you can start to read First Aid system wise. For example, I want you to plainly read Cardiology system from First Aid. And then you can start with USMLE World cardiology questions. And you should get almost all the physiology questions right. USMLE World will definitely have some new physiology materials and concepts. Don’t be upset if you get them wrong. Just relax and write them down in your First Aid. And keep on doing questions! If you are still lost and want to speak to me for strategy and study schedule you can check out my consulting service.